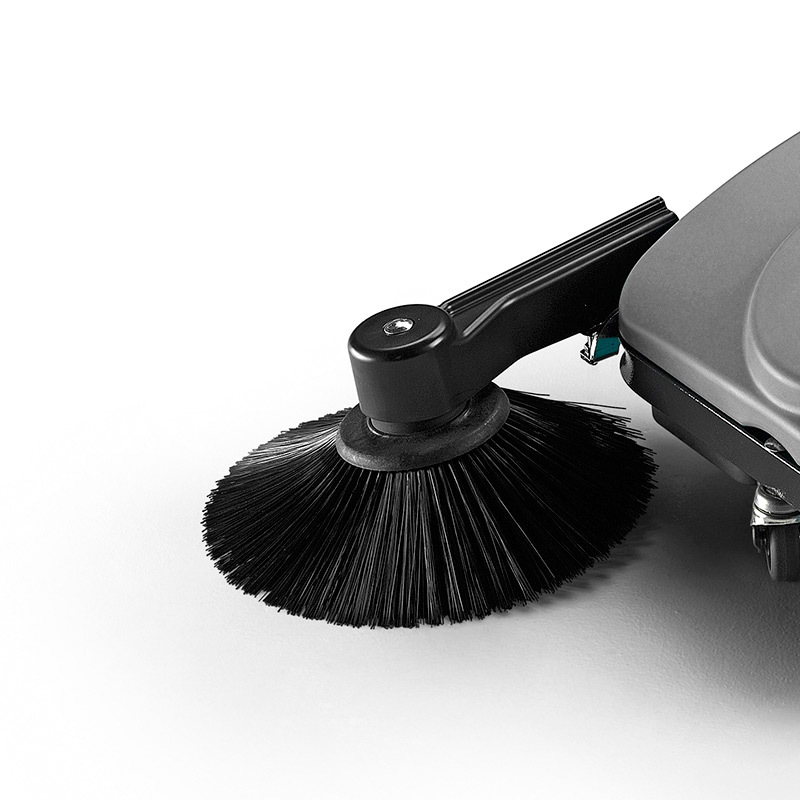 The MACH ME is the first step in incredible productivity and effortless cleaning. It’s 10 times faster than using a push broom, delivering impressive results everyday, which save you time and cost. A versatile manual walk behind sweeper, designed for you. 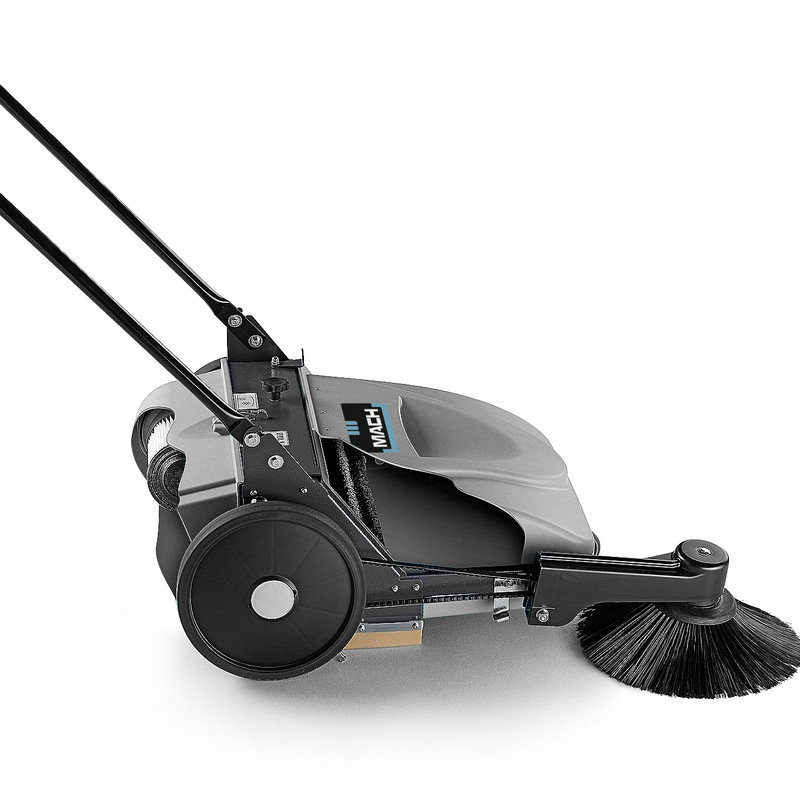 The MACH ME is a smart solution to clean simply and effectively, with no battery and no cord, it is versatile and reliable. Its simple and robust design is agile in tight spaces and an adjustable side brush effectively cleans hard to reach places. 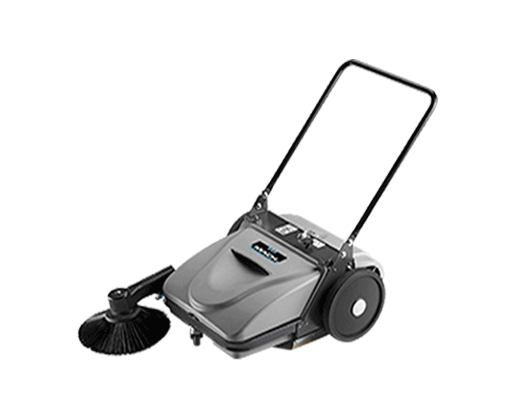 It’s so simple to use that no experience is required, making it the perfect first machine to buy for efficient indoor and outdoor cleaning on hard and soft surfaces. 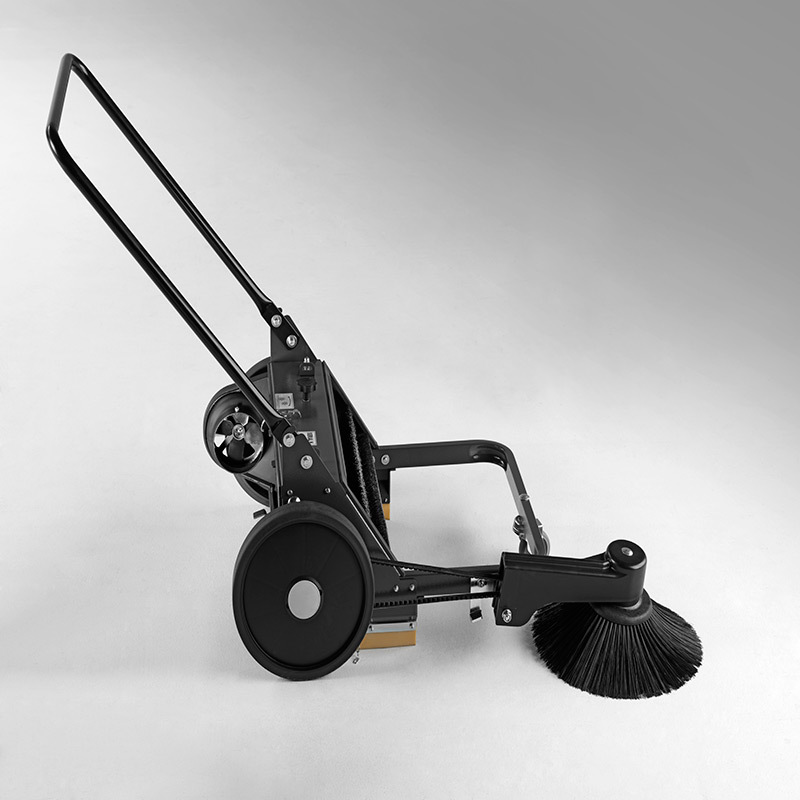 The MACH ME has an important and unique feature, it can be used in both forward and reverse directions thanks to dual hoppers on the front and rear, providing maximum flexibility when sweeping. 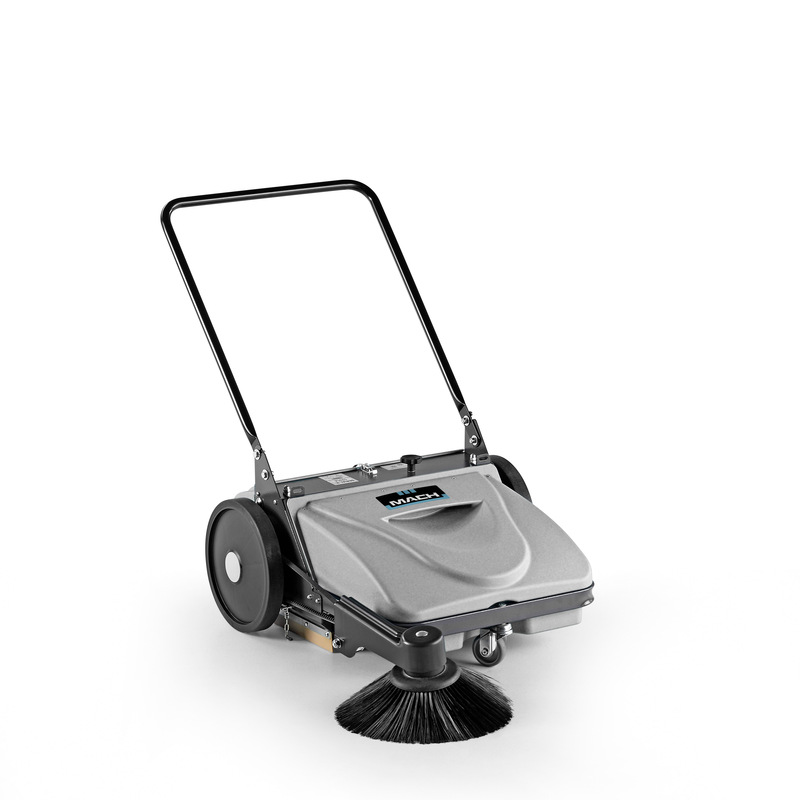 You can rely on our manufacturing process which uses heavy duty materials, making the sweeper durable and extremely impact resistant, the MACH ME is built to work with you every day, now and forever. Rely on high quality manufacturing. 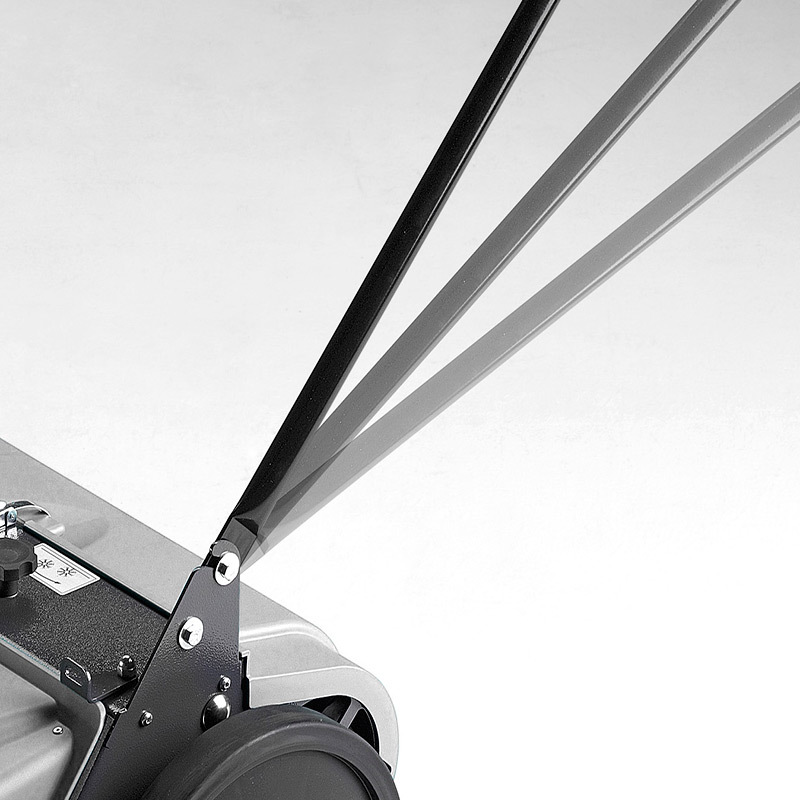 The MACH ME is built to last using heavy-duty materials, with a coated steel chassis and durable ABS thermoplastic hoppers. The front & rear hoppers are shock resistant and enable you to effectively collect debris in either direction for maximum flexibility. Impact resistant side brush enables cleaning of hard to reach places. Pass along walls, pavements and under shelving, effectively capturing dust and debris. The MACH ME’s strong steel handle is simple to adjust and ergonomically designed, for maximum user comfort. It cleverly folds away making the sweeper simple to store.